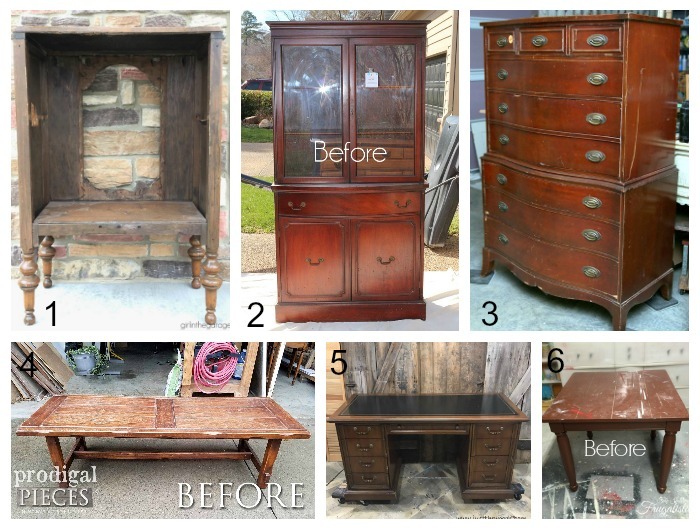 Today I'm sharing one of my favorite and most viewed furniture makeovers. 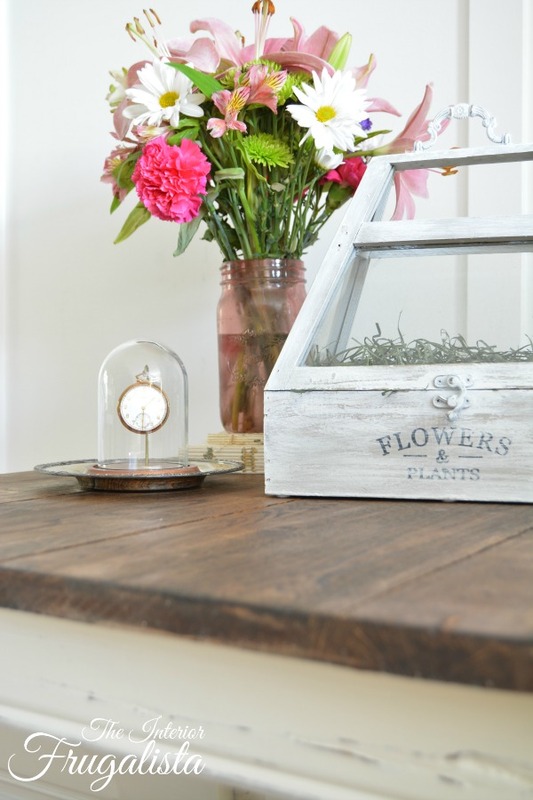 I think what makes this Farmhouse Side Table so popular is because of the hidden gem that awaits underneath layers of ugly reddish brown paint. The transformation is night and day and my intention was to sell it at a local market. 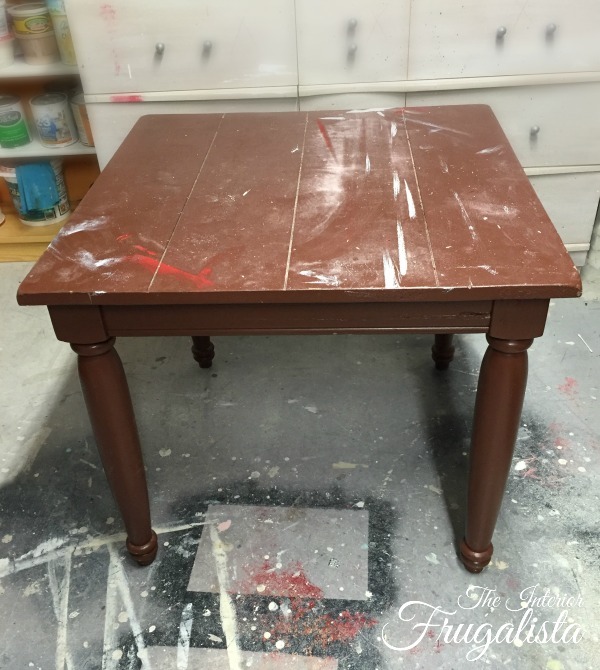 I invited a dear friend over to get messy with some chalk paint in the workshop. While she was busy giving her wooden candlesticks a wash of white paint her eye caught a glimpse of this table from the next room. So much for taking it to the market because she bought it on the spot. 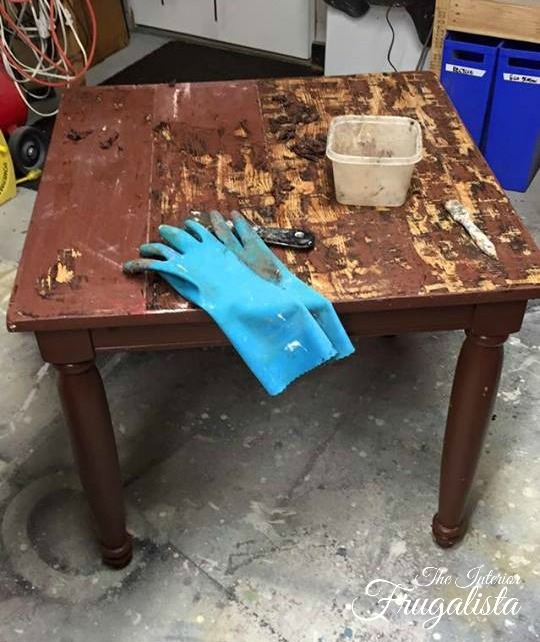 Before we get into the details of the makeover, today is the last furniture makeover from our Furniture Fixer Uppers group of 2017. 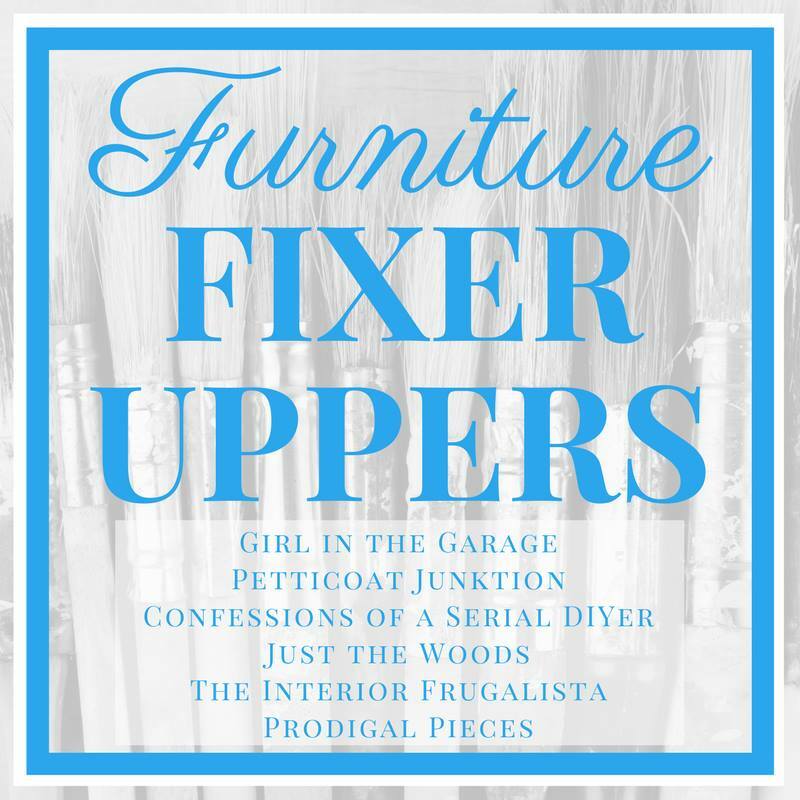 It's one of my favorite days each month where six talented and creative bloggers come together to breathe new life into six furniture pieces that had seen better days. 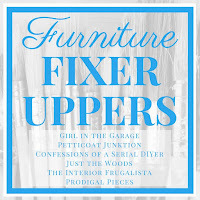 You will find links to my friend's new or favorite furniture makeovers at the bottom of this post. 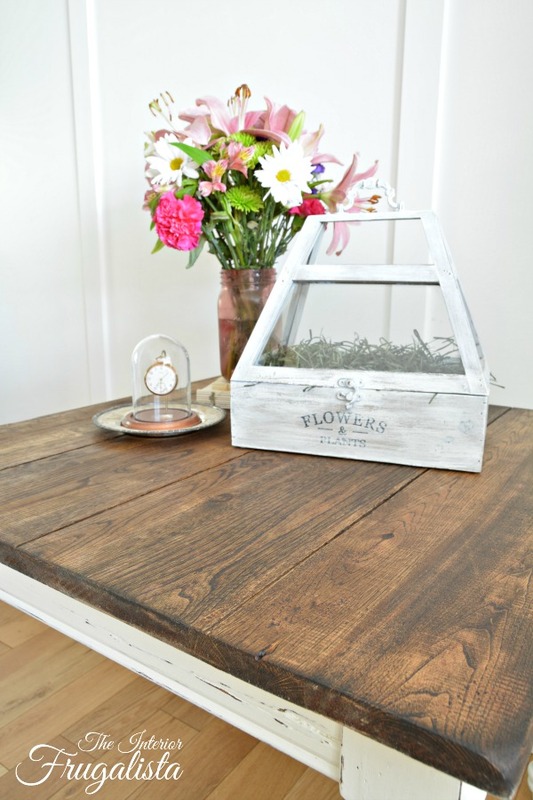 Last time I shared a Farmhouse Etagere Bookcase made from three identical tiered tables that showed up on my doorstep one-by-one from different sources throughout the span of a year. I've included a Materials List towards the bottom of this post for your convenience. I kept my finger's crossed that underneath all that brown paint there was a gorgeous wood slat top waiting to be loved. I didn't mind that the legs and skirt were painted brown because it would make a perfect base for distressing. The first thing I did was an attempt to strip the paint off the top and it wasn't an easy task. It took two afternoons with paint stripper and a putty knife to remove the layers and layers of paint. An orbital sander took off the final bits to get it back to the original wood, which to my delight was happy dance worthy. And once I applied a single coat of Dark Walnut stain, my hard work paid off - look at that lovely wood. 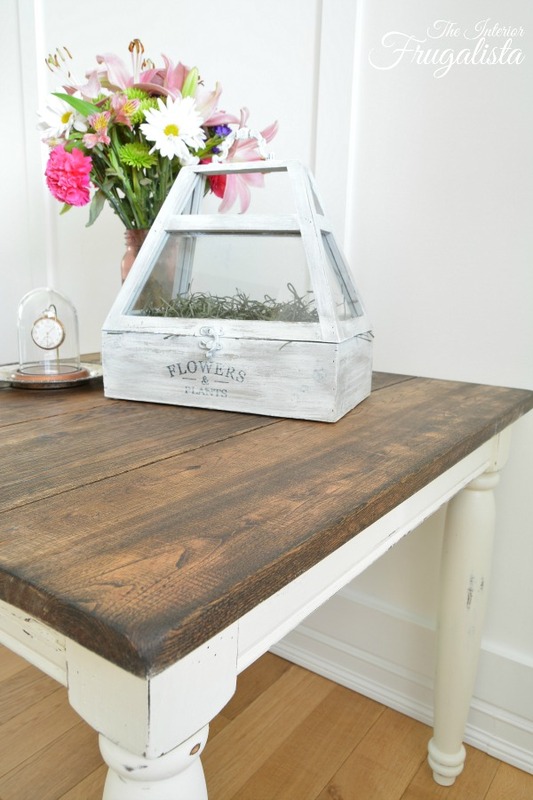 The base was painted with chalk paint in the color Vanilla Frosting by Country Chic Paint. It's a soft creamy white that paired so beautifully with the dark top. I was singing when I noticed that the white paint brought out the wormholes in the wood. See some of the old brown paint peeking out from underneath? Rather than my usual clear wax method of protecting furniture, I applied Hemp Oil by Miss Mustard Seed over the chalk paint and the stained top. 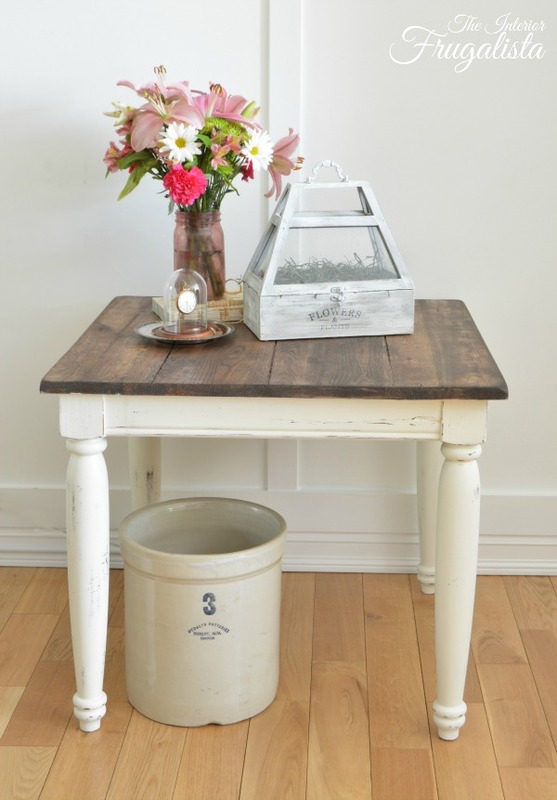 This lovely Farmhouse Side Table went on a journey in the back of a moving van to its new home on Vancouver Island. It's owners, our dear friends, will be sorely missed. ...and now I'm on the hunt for another table just like it. 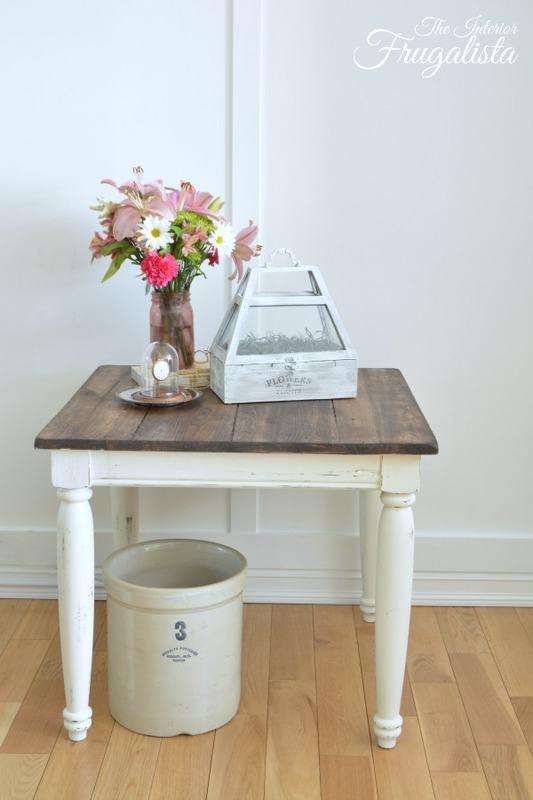 If you found this Farmhouse Side Table makeover inspiring, please save it on Pinterest and/or share it with a friend. You never know what could be lying underneath all those layers of paint. 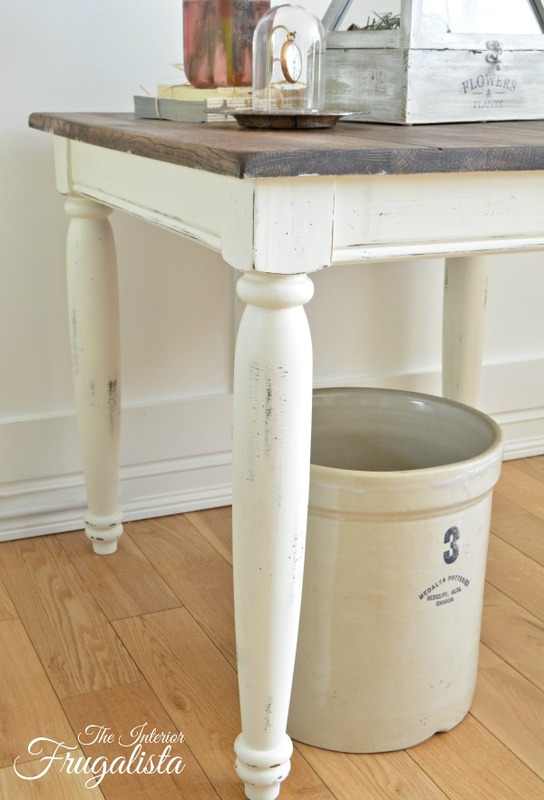 I've done similar Farmhouse Side Table Makeovers but painted a mustard yellow. 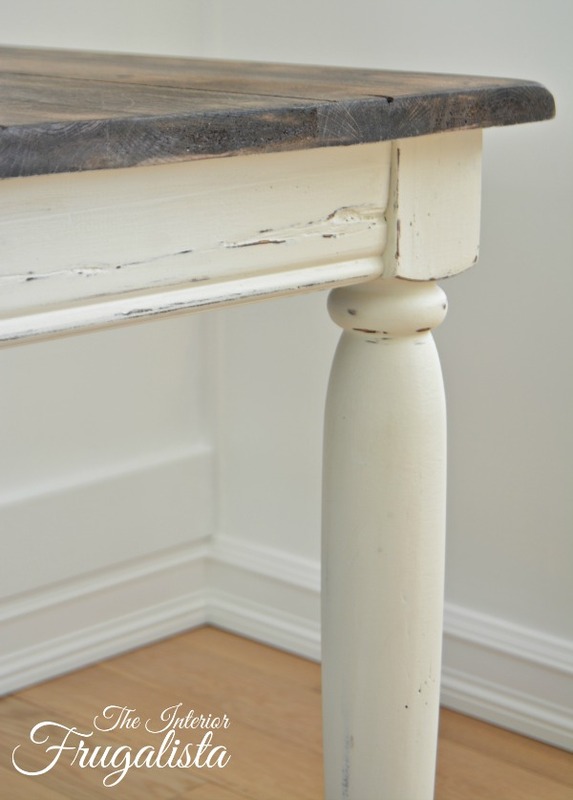 Both the Dark Walnut Table Makeover and Painted Oak Side Table Makeover were quick sellers but I have to admit, after doing this makeover, I prefer the white. 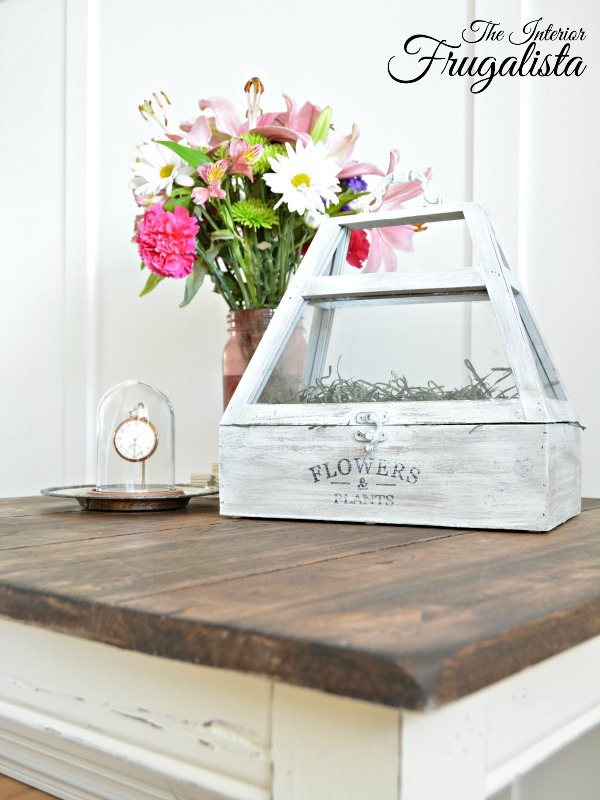 For more Farmhouse Inspiration press HERE. You will find this project linked to these fabulous Linky Parties.